Creating a successful menu is the one of the most important tasks for any restaurant. It needs to attract customers whilst generating a healthy profit. Restaurants spend huge amounts of time and money perfecting their menus. To do this, they use the psychology of choice. According to a Gallop poll, diners spend an average of 109 seconds looking at a menu. Restaurants know this and design them to make every second count. Menus need to be appealing, profitable, and easily digestible (excuse the pun). They also need to convey the appearance of choice. Most successful restaurants use neuromarketing to persuade customers to order certain dishes. These are usually the ones with the highest margins. For example, they will often list a high-margin wine as the second least expensive item on their list. Coincidentally, people order the second-cheapest wine more frequently than any other option. The psychology of choice incorporates all of the biases that shape our decisions. Rather than functioning rationally, humans are experts at saving time through guesswork and intuition. 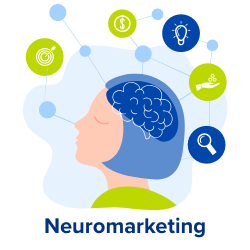 Neuromarketing experts identify consistent decision-making shortcuts and appeal to these when presenting a product. Paradox of choice: This is a cognitive bias in which having too much choice can in fact lead individuals to reach less satisfactory decisions than they would have if presented with less choice. A smaller, targeted menu means you have more chance of persuading them to opt for higher margin dishes. Adding decoy items: Adding a similarly priced but inferior dish, or a more expensive dish, to the menu makes the other dishes seem more attractive in comparison. Removing the currency signs: You may have noticed the recent trend for menu prices without the currency symbol and in round amounts. This is no accident: pricing your steak at 22 rather than £21.75 or $21.99 minimizes the association with money and reduces the “pain of paying”, another known cognitive bias. Visual Attention and the “Golden Triangle”: Studies performed with eye-tracking technology have demonstrated interesting facts about the limited span of visual attention. In particular, readers from western countries tend to focus on the top-left of a page and the centre. A common scanning-pattern known as the “Golden Triangle” has been identified, where the majority of readers’ eyes are drawn to the middle of the menu, the top right and then the top left. Creative descriptions: Research has shown that adding the names of mothers, grandmothers and other relatives to the names of dishes makes them more appealing.This is related to the Metaphor Effect in which we understand and more easily remember language that activates our imagination. You’ll therefore see plenty of restaurants calling dishes things like “Grandma’s homemade Apple Pie”. You’ll also find liberal use of meaningless but appealing adjectives like “country ham” and “farm fresh eggs” (aren’t all eggs farm fresh?). It’s not just the restaurant business that can take advantage of cognitive biases. The psychology of choice and other aspects of neuromarketing are just as important to web design. 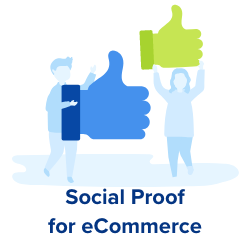 Supposing you are optimising your E-commerce site, and have decided to try out different scenarios with A/B tests: how do you know which parts to modify? What is likely to improve your conversions, and why? One way to structure your approach would be to think about your website as a menu. The Serial Position Effect: The first and last items in a list usually receive the most attention. They are also remembered more frequently than other items. When listing products, you should place your highest-margin item first and your second-highest last. The Paradox of Choice: The more options your customers are given, the less likely they are to be satisfied with their eventual choice. They are also more likely to defer their decision to a later time. In order to reduce cart-abandonment, keep the choices down to a few well-chosen options. The Decoy: Also known as the “Ugly Brother” principal, the decoy effect increases the desirability of an option by presenting a less-attractive alternative. Offering a plausible, but noticeably less desirable, option to your selection can increase the value of a similar item. Providing a way to directly compare the options will increase customers’ confidence in their choices. The Value of Currency: In some circumstances, removing the currency symbol can increase sales. However, it is a strategy commonly used with high-cost products, and can trigger associations with luxury brands. 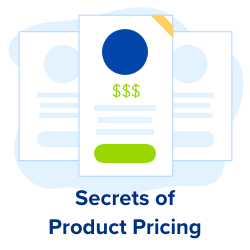 There is also a danger that your prices will become ambiguous, leading to increased cognitive load and poor user-experience. The Golden Triangle: Customer choices are influenced more by intent than position. However, with the average page-bounce lasting less than 15 seconds, it is also important to make sure your key assets are visible. The most important part of your webpage is the top bar. The Metaphor Effect: Abstract thought is almost impossible without visual analogy. If you’re selling an abstract product (like insurance or security) it is especially important to communicate with helpful images. Even restaurants use metaphors to add abstract value to their products. A/B testing platforms rarely explain to their users why some changes have a larger impact on conversion rates than others. However, without a solid grounding in neuromarketing and the psychology of choice, no amount of random testing will lead to optimal results. Our library of cognitive biases provides a useful reference for marketing professionals, and is freely available. 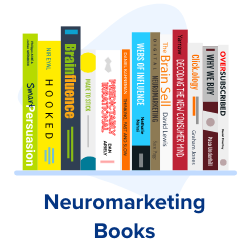 For more psychological insights, explore our list of thirteen great neuromarketing books. Philippe is the CEO of Convertize. 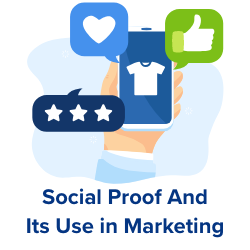 He created his first website in 1998 and has spent the past 20 years finding ways to make digital marketing more persuasive. He now heads a team of CRO consultants. Philippe writes about consumer behaviour and conversion rate optimization. Convertize is the easiest way to AB Test your ideas. Change anything on your website. 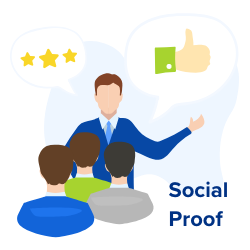 Add Social Proof Nudges to convert more visitors into buyers.